The Rebel Sweetheart. 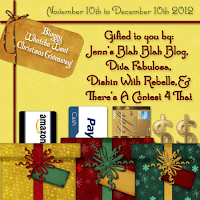 : Sign-Up | Bloggy Whatcha Want Christmas Giveaway. 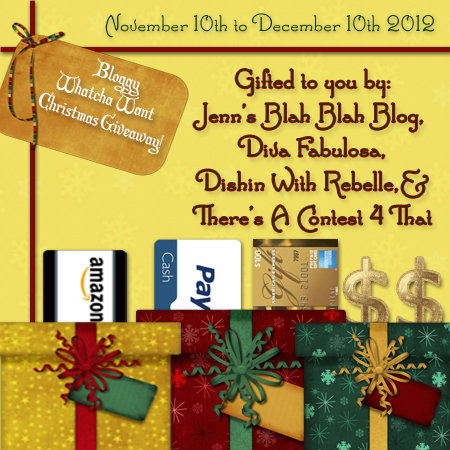 bring you the Bloggy Whatcha Want Christmas Giveaway! You’re not going to want to miss this awesome event. Jenn’s Blah Blah Blog has an awesome event in the works for Christmas, hurry and get a spot, the good ones will fill up quickly! SIGN UP FOR THIS FABULOUS GIVEAWAY HERE.